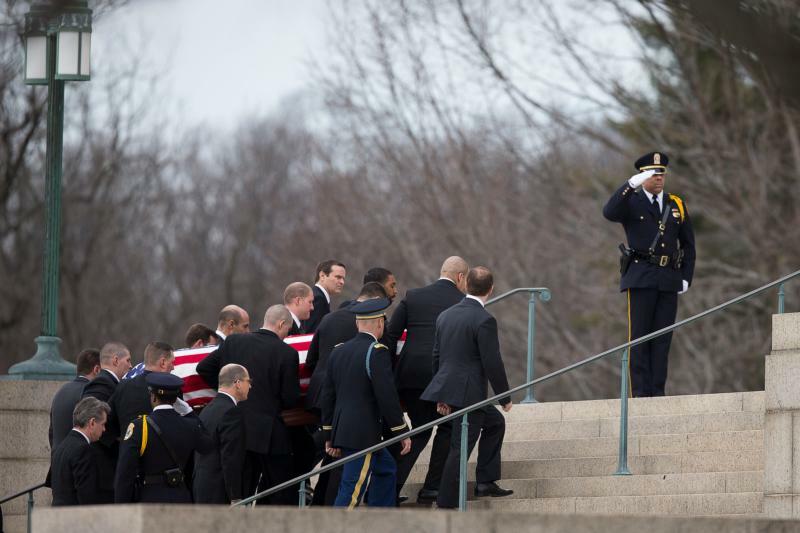 WASHINGTON (CNS) — Just as many pilgrims are passing through the Holy Door at the Basilica of the National Shrine of the Immaculate Conception in this Year of Mercy, the casket bearing the body of the late Supreme Court Justice Antonin Scalia entered through the door Feb. 20. Washington Cardinal Donald W. Wuerl, welcomed Justice Scalia’s family members and friends and the dignitaries to the Mass and acknowledged the presence of Archbishop Carlo Maria Vigano, apostolic nuncio to the United States, and Arlington Bishop Paul S. Loverde. Leonard Leo, a friend of Justice Scalia who is executive vice president of the Federalist Society, read the first reading from the Book of Wisdom, which opened with, “The souls of the just are in the hands of God.” Justice Thomas read the second reading from St. Paul’s letter to the Romans, and Father Colin Davis, a priest of the Diocese of Arlington, read the Gospel reading from St. Matthew. What a beautiful funeral Mass it was. Fr Scalia’s homily was outstanding especially in what had to be trying circumstances.